In 1856, St. Dominic Savio founded the Immaculate Conception Sodality. The purpose of the sodality was to seek the protection of Our Lady in life and especially at the hour of death by promoting practices of piety in honor of Mary Immaculate as well as frequent Communion. Members of the sodality took turn to receive Holy Communion at weekday Masses, and consecrated each Saturday to Our Lady by some acts of devotion in honor of her Immaculate Conception. Each week, members of the sodality held a half-hour meeting. The meeting began with a prayer to the Holy Spirit and a brief spiritual reading. Members reported on the results of their works of charity, and discussed matters that were conductive to the well-being of the oratory. The members made a list of boys in the oratory who needed greater moral assistance. After studying their temperaments, each boy was assigned to a member. The sodality members were like guardian angels for those boys. A sodality member would won the friendship of a boy through kindness and generosity. He would exhort and urge the boy to be good, and would invite the boy to go to confession. Members of the sodality helped troubled boys to remain at the oratory and to apply themselves successfully to their studies. The sodality members paid special attention to new boys who were homesick. Members would approach those boys and engage them in conversation. 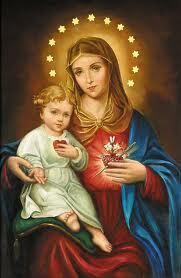 A member would invite a new boy to play and would lead the boy to pray a Hail Mary before the altar of Our Lady. He would explain to him that Don Bosco was a loving spiritual father and exhort him to receive the sacraments. One time a stranger mingled with the boys during recreation. He attracted attention by telling amusing tales. As soon as he had a sizable audience, the man switched the topic to religion and attacked the Catholic Church. Some boys walked away but were too timid to speak up, while many others thoughtlessly stayed on. Dominic Savio came along, and when he realized what was happening he fearlessly said, “Let’s go! Let’s leave this wretch alone. He’s trying to ruin our souls.” All the boys obeyed him and the stranger left and was seen no more. Another time, an outside boy brought in a newspaper with indecent and irreligious illustrations. Other oratory boys gathered about him to look at them. Dominic ran up, and when he saw the pictures he took the paper and tore it to shreds. He exclaimed, “God help us! Have you forgotten everything that you’ve been taught? Our Lord says that a single glance can soil our souls, and you go ahead and gloat over things like this!” One boy replied, “We are only looking at them for fun.” Dominic said, “Sure, it was fun, laughing yourselves right into hell. Do you think you’ll be laughing if you land there?” No one in the crowd dared to reply. On March 1, 1857 Dominic Savio returned home due to sickness. He died on March 9. Before his death he said to his father, “Good-bye, dad, good-bye! Oh! What a beautiful thing I see…”. A month after his death, Dominic appeared to his father letting him knew that he was in heaven and promised to pray for his family. This entry was posted in St. John Bosco on December 7, 2015 by fatheranthonyho. One of the best students of St. John Bosco is St. Dominic Savio. Dominic was born on April 2, 1842 in the village of Riva near Chieri, Italy. He knew his prayers by heart at the age of four and started altar serving at the age of five. He loved to serve Mass everyday and the parish priest allowed Dominic to receive first Communion at the age of seven. I will go to Confession and Communion as often as my confessor will allow. I will sanctify Sundays and holy days in a special way. Jesus and Mary will be my friends. Dominic said, “I can’t do big things but I want everything to be for the glory of God.” He did not complain about the food or the weather, but bore all suffering cheerfully. He also practiced custody of his eyes and tongue. This entry was posted in St. John Bosco on November 30, 2015 by fatheranthonyho. In 1853, St. John Bosco started his own workshops. He did it for two reasons: the boys had to face immorality and irreligion from adults in outside workshops, and the help that workshops of tailors, cobblers and printers could give to the Oratory. After a few attempts, Don Bosco found out that a good way to run the workshops was to form masters in charge of the professional formation of the boys. These masters would be Salesian Brothers dedicated to the professional schools. A few attempts had been made on the life of Don Bosco. One time people lied that there was a man dying who needed the Sacraments, and when Don Bosco arrived they tried to force him to drink poisonous wine. He was saved by the strong boys that he brought with him. Another time, a woman pretended to be dying, and people in the room attempted to kill Don Bosco with a rain of blows. Don Bosco grabbed a chair just in time to protect his head. One evening, Don Bosco returned home by himself. A huge dog came up to him and accompanied him to the Oratory. This happened several times, and the boys of the Oratory called the dog “Grigio”. One evening, two men captured Don Bosco and threw a mantle over his head. At that moment, Grigio appeared and attacked the men. The men ran away and Grigio accompanied Don Bosco home. Another evening, Don Bosco planned to go out on business. Mamma Margaret urged him not to go out as it was already dark. But Don Bosco thought he should fulfil his duty and go. However, Grigio sprawled across the threshold. Don Bosco tried to walk over the dog, but Grigio would not budge and would push him back. Margaret said, “If you do not want to listen to me, at least listen to the dog: don’t go out!” Don Bosco then followed Margaret’s advise and stayed home. The following day, Don Bosco came to know that a man with a pistol had been waiting for him at a bend of the road. This entry was posted in St. John Bosco on November 23, 2015 by fatheranthonyho. Margaret practice the virtue of poverty. She often said, “I was born poor and I want to live and die poor.” When she visited the homes of benefactors, she always dressed in peasant’s garb. She said, “These people know I’m poor, so they’ll forgive the coarseness of my clothes.” As time went by, her dress would become faded. Don Bosco replied, “Well, you did right, I suppose, but I can’t bear to see you dressed like that. It reflects on me!” He then gave Margaret another twenty lire. But it was the same thing again; Margaret used the money to buy things for the boys. Margaret was a woman of prayer. She attended daily Mass and received Communion frequently. She loved to visit Jesus in the Blessed Sacrament and recite the rosary. Often she had to interrupt an Our Father or a Hail, Holy Queen to advise one boy or to give an order to another, or to issue a warning to a third. One time the boys played a game of war, and they trampled on the garden of Margaret and destroyed everything. Margaret couldn’t take it anymore. She said to Don Bosco, “John, I am tired. Let me go back to Becchi. I work from morning to night, I am a poor woman and those wild boys ruin everything. I really can’t bear it any longer.” Don Bosco responded by simply pointing to the crucifix on the wall. Tears rolled down her cheeks, and she said, “You are right, of course”. She gathered up her apron, and from that moment on, no further complaint was ever heard from her. This entry was posted in St. John Bosco on November 16, 2015 by fatheranthonyho. An extraordinary event took place in 1849. Charles was a fifteen years old boy who attended the oratory. He was seriously ill and was close to death. Charles was anxious to have Don Bosco for confession, but he was out of town. The assistant pastor came to hear his confession. Thirty-six hours later, Charles died but before his death he repeatedly asked for Don Bosco. As soon as Don Bosco returned, he was told that people had come several times looking for him because of Charles. Don Bosco hurried to Charles’ house. On reaching the house, Don Bosco found a black drape over the door with the boy’s name on it. Don Bosco went up to console the parents. They told Don Bosco that Charles passed away that very morning. The parents of Charles entered the room. Charles embraced them and asked to be left alone with Don Bosco. Charles had omitted a mortal sin in his last confession and now he made his confession to Don Bosco. For about two hours Charles was able to talk, move and look around, but all the while his body remained cold. He repeatedly asked Don Bosco to warn the boys always to tell all their sins in confession. Finally, Don Bosco said to him, “Now you are in the state of grace. Heaven stands open for you. Do you want to go there or remain here with us?” Charles replied, “I want to go to heaven.” Don Bosco said, “Goodbye then, until we meet in heaven.” Thereupon Charles closed his eyes, lay back on the pillow and quietly fell asleep again in the Lord. The event of the temporary resurrection of Charles resulted in a notable number of conversions and sincere confessions. This entry was posted in St. John Bosco on November 4, 2015 by fatheranthonyho. St. John Bosco experienced an extraordinary event on a solemn feast day (most likely the Nativity of Our Lady in 1848). About six hundred boys had gone to confession and wanted to receive Holy Communion. Don Bosco started the Mass, thinking that the ciborium inside the tabernacle was full of consecrated Hosts. In fact there was only a small number of Hosts in it. The sacristan, Joseph Buzzetti, had forgotten to put a full ciborium on the altar before the Consecration. He realized the mistake only after the Consecration, and could do nothing about it. At Communion time, when Don Bosco uncovered the ciborium and saw a small number of Hosts, his expression betrayed his disappointment that many boys would be unable to receive Holy Communion. He raised his eyes to heaven and prayed and then went to distributing Holy Communion. Without breaking the Hosts, Don Bosco was able to give Communion to all the boys. After Mass, Buzzetti told his companions of the miracle and proved it by showing them the ciborium he had forgotten in the sacristy. The clerics asked Don Bosco how he felt as the miracle happened. He said, “I was deeply moved, but undisturbed. I was thinking to myself that the miracle of Consecration is even greater than that of multiplication. May the Lord be praised for everything.” Thereupon he changed the subject. Fear seized the bystanders, and all of them begged Don Bosco to restored his sight. The young man implored, “Don Bosco, pray for me. Please forgive me!” Don Bosco said, “Say an act of contrition. We shall pray too, but meanwhile promise you’ll go to confession, and then the Lord will give you back your sight.” Don Bosco and the others prayed for him. Toward evening, someone took the young man to confession and his sight was then restored to him. This entry was posted in St. John Bosco on October 28, 2015 by fatheranthonyho. The oratory of St. John Bosco was growing. In 1847 around 800 boys attended the oratory. Don Bosco consulted Father Borel and Father Carpano and came to the conclusion that another oratory had to be opened in the southern part of the city. The boys welcomed the announcement with great joy. The new oratory would be called St. Aloysius Oratory for two reasons: first, to provide a model of purity and virtue for boys; second, as a gesture of appreciation to the Archbishop who bore the name of this saint. Father Borel blessed the new oratory on December 8 1847 and Father Carpano was appointed its director. 1848 was difficult for Don Bosco. It was a time political unrest, and some priest helpers at the oratory instilled political notions in the mind of the boys. Don Bosco, however, pointed out that the only politics to be taught to the Oratory boys should be: avoiding sin, practicing the Faith, and being obedient to those in authority. Don Bosco firmly chose the path of loyalty to the pope and freedom from all political parties. Unfortunately, the co-workers of Don Bosco continued to champion political ideas and Don Bosco was forced to express his disapproval. The animosity of some of his co-workers against Don Bosco increased and they openly derided him. They influenced the boys and some of the boys skipped church services to attend public demonstration. Two priests who were helping at St. Aloysius Oratory demanded Don Bosco to give permission to have the boys, with banner and cockades, to take part in public demonstrations and parades. Don Bosco denied permission and explicitly forbade any such participation. The two priests and a few young clerics announced their opposition to Don Bosco and declared that they would carry out their plan. The following Sunday, they had the boys of St. Aloysius Oratory join in the patriotic celebration. Don Bosco took action immediately. He sternly told the director, Father Carpano, that since he disregarded his order, he can no longer serve as director of St. Aloysius Oratory. The action of Don Bosco annoyed his rebellious staff members, and on the following Sunday, a rebellious priest invited about a hundred boys to march away from the Valdocco oratory and declared that they would not attend the oratory any longer unless they were explicitly invited and formally received, with banners flying and their chests bedecked with medals and cockades. Don Bosco would not compromise. The following week, he wrote a note to the rebellious staff thanking their services and informing them that their services were no longer needed and that they were not to set foot again on the premises. The dismissed staff decided to alienate the boys from Don Bosco, and nearly all the priests and clerics who used to help abandoned him. Don Bosco had to run the oratory single-handed. For a few Sundays the number of boys in the Valdocco oratory reduced from over five hundred to only thirty to forty. Eventually many of the boys returned to Don Bosco one by one. He welcomed them with forgiveness. Rebellious staff members who repent received a warm welcome and were reinstated to their former positions.